From stylish hotels in Little Rock, charming places to stay in Fayetteville, beautiful inns in Eureka Springs, wedding venues, and historic B&Bs in Hot Springs, there are many unique places to stay in Arkansas. Couples looking for an array of things to see and do can head to Little Rock, AR or Fayetteville where they can explore museums, see a show and try new flavors at local restaurants. Our list includes many quiet country escapes for those who want to get away and relax surrounded by beautiful mountains, waterfalls and lakes. When the entire city is listed on the National Register of Historic Places for its almost fairy tale-like Victorian beauty, you can expect quite a few treasures. Cliff Cottage Inn is so magnificently preserved and renovated that you will feel as if you’ve been transported to the romantic Victorian era of horse carriages and damsels in distress. It is a dreamy place for a romantic getaway or even an elopement. Listed on the National Register of Historic Places, this beautifully restored Victorian-era bed and breakfast is located on the campus of Henderson State University. 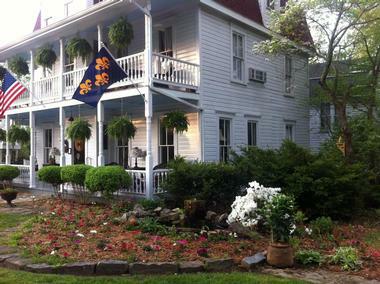 The Captain Henderson House Bed and Breakfast gives visitors the opportunity to experience true Southern architecture and style first hand. Each of the eight guest rooms has been expertly restored in keeping with the history of the building, and they are furnished to reflect the grace and style of a by-gone era without sacrificing any modern conveniences such as private bathrooms, cable TV, Wi-Fi, and climate control. Local attractions include the DeSoto Bluff hiking trail, the planetarium, and the Clark County Historical Museum. Snuggled in the Ouachita Mountains on the banks of the lovely Lake Hamilton, Lookout Point Lakeside Inn is a romantic sanctuary and a perfect getaway destination in the charming town of Hot Springs. 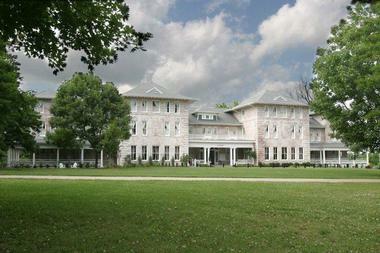 What were Al Capone and Jesse James up to when they stayed at the Hilltop Manor? This beautifully crafted old inn built in 1910 in the Craftsman style used to host many colorful celebrities in its time before being converted to a bed and breakfast. Surrounded by magnificently landscaped gardens, Hilltop Manor Bed and Breakfast is opulent and luxurious and wraps guests in the warmth and decadence of its leather armchairs, stone fireplaces, and beautifully crafted period antiques. Five exceptionally appointed suites have spacious sitting areas, decadent bathrooms with Jacuzzi, fireplaces, flat-screen TVs, iPod docking stations, and much more. Gourmet breakfast is served in the inn’s elegant dining room with a huge stone fireplace or on the front porch overlooking the waterfall. Overlooking the peaceful, verdant Arkansas hills and lush, meticulously landscaped gardens, Arsenic & Old Lace Bed and Breakfast is a quaint Victorian home with an air of romance, a perfect getaway from the stress of modern life. 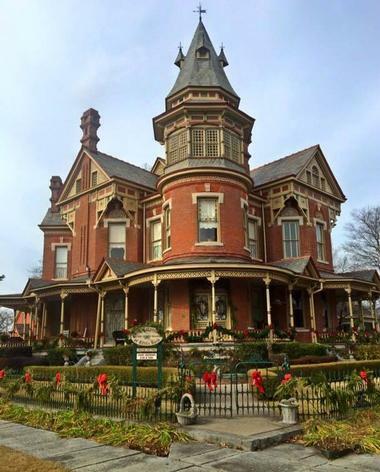 Located in the historic Eureka at the foot of the Ozark Mountains, the lovely Victorian beauty has been converted into a luxury bed and breakfast that perfectly blends the elegance of old times and the amenities of new. Luxury suites and rooms are tastefully decorated with period antiques, original art, stained glass windows, and crystal chandeliers. Add to that wireless Internet, cable TV, and private bathrooms, and you have the best of both worlds. This charming bed and breakfast is the perfect spot for an intimate wedding or a business retreat, or it can serve as your base while you’re in town for the Eureka Springs Passion Play festival. Since it was built in 1906, Carnall Hall in Fayetteville has been the first women’s dormitory on the campus of the University of Arkansas, a fraternity house and a storage space for classroom and office overflow. After almost a century of lively student activity, in 2003 the historic building was converted to an inn and opened to everyone visiting the university or town of Fayetteville and searching for comfortable and elegant lodging. Capital Hotel is a beautiful historic hotel and has been a favorite destination since it first opened in 1870, complete with indoor plumbing and an elevator. Today the hotel combines modern comforts with old-world charm to produce an elegant and romantic ambiance. You can imagine a damsel in distress crying from the tower’s tiny window, waiting for her hero on a white horse to come and rescue her. This scene takes place not in Camelot but right in downtown Little Rock, where the Hornibrook Mansion stands proud with its imposing corner tower, stained glass windows, and wrap-around porches, looking much like it did when it was completed in 1888. The Victorian beauty was meticulously renovated with careful care to preserve all the original details but to bring it into the 21st century with the amenities modern guests expect. 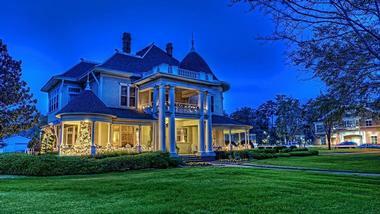 Immerse yourself in the nostalgic, more elegant past at the beautiful Red Bud Manor Inn Bed and Breakfast. This refined and historic Victorian manor was designed in 1891 in the Colonial Revival style. 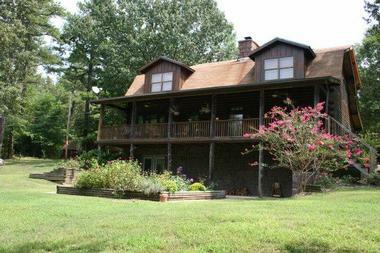 Lovingly restored, it became the first Arkansas Bed and Breakfast in 1980. 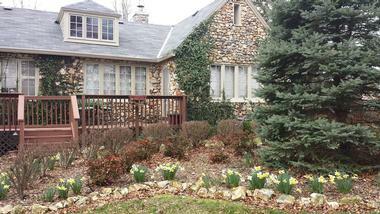 It is located in the heart of Eureka Springs and surrounded by expansive, lush, and beautifully landscaped gardens. The Inn offers three unique luxurious suites with antique furniture, private bathrooms, comfortable armchairs, and modern amenities such as free Wi-Fi and cable TV. Guests are invited to enjoy the inn’s two-person hammocks on the spacious front porch, the elegant dining room, and the parlor filled with period antiques. Gourmet breakfast is served in the parlor on the exquisite Chippendale dining table appointed with Blue Willow china and antique crystal. Once you enter your luxurious suite filled with precious antiques and lovely period details of the Mount Victoria Bed and Breakfast, you might not come out for days. Let yourself be pampered in this award-winning and meticulously restored 1902 Colonial Revival inn where comfort, romance, and modern amenities go hand in hand. The oversized Jacuzzi, cozy reading nooks, original art, and plush bed linens will treat all your senses. Don’t worry, as all modern amenities are there. You will find a flat-screen TV hidden in the antique armoire, and a lovely claw foot tub has been updated with modern shower and pampering bath supplies. Enjoy the view of the garden from one of the two spacious porches and have a glass of wine with your darling before heading out to one of the many superb restaurants, classy galleries, and antique shops just around the corner. 1884 Wildwood Bed and Breakfast Inn is perfectly positioned on a large 1-acre plot with a mature garden just half a mile from Bathhouse Row in historic downtown Hot Springs. The Inn dates back to 1873 and is furnished and decorated to reflect its interesting past when it was built as an elegant country house and welcomed many visitors to its wonderful ballroom. Each of the rooms has a private bathroom and cable TV, and if you choose one of the two cottages you will also have a delightful whirlpool bathtub as well as a shower and a private outdoor porch. 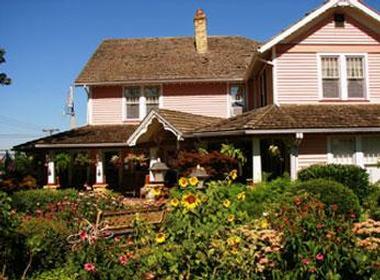 The inn is renowned for serving the best breakfast in the area and offers special Rest and Romance packages. PJ's White River Lodge is a fishing lodge with a twist: you do not have to rough it in order to catch some fabulous fish or to explore the wilds of the nearby Ozarks with your darling. 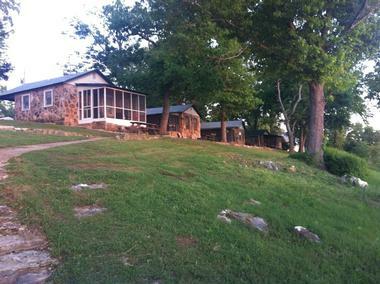 The lodge is located on the banks of the cool and clear White River in Norfork, Arkansas. 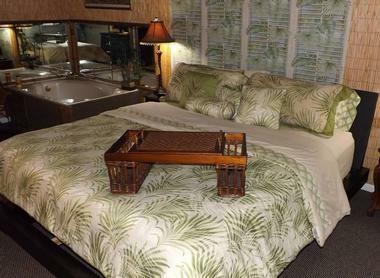 You can sleep in one of the eight cozy and beautifully decorated rooms and literally watch fish jump out of the water. 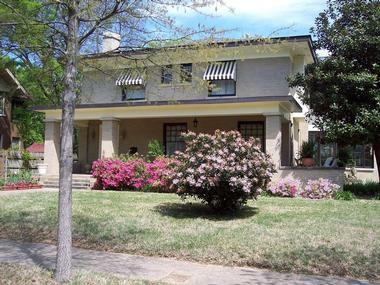 Sit on a spacious old-fashioned porch with a cup of coffee and watch the world go by on a peaceful tree-lined street just a short walk from the bustling downtown of Little Rock. Little Rock is a thriving modern city with a rich past, and whether you are visiting for a business meeting or for a relaxing weekend getaway, Robinwood Bed and Breakfast is a great place to stay. The classic décor of the common spaces invite socializing with your fellow travelers, while each of the five cozy guest rooms will envelop you in comfort and pamper you with all modern amenities. 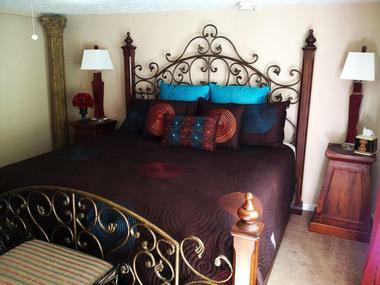 Rooms are beautifully decorated and have private bathrooms, cable TVs, and free Wi-Fi. Some even have a microwave and/or fridge. A gourmet breakfast with homemade pastries and other goodies is served in the sunny dining room, and if you are on a romantic weekend escape, you can have it in bed. There are not many towns more romantic than Eureka Springs. Nestled on the steep hills of the Ozark Mountains, this town has many quaint cobblestoned streets lined with beautiful Victorian homes. If you are planning a small wedding, check out the charming Rock Cottage Gardens Inn, located only ten minutes from downtown and surrounded by magnificent lawns and flower beds. It boasts five exclusively private, luxurious cottages and even an onsite chapel. Each cottage is uniquely decorated with its own character, but all of them have stately fireplaces, a two-person Jacuzzi, a fridge, cable TV, Wi-Fi, DVD players, and beautiful views of the garden. The inn’s three-course homemade breakfasts are famous and are served in the inn’s lovely dining room. 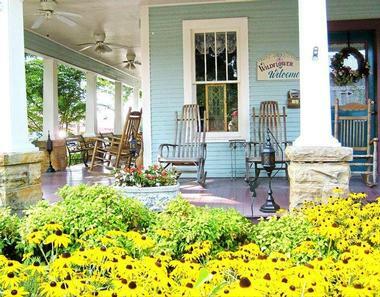 If you are coming to Mountain View for the Bluegrass Festival in the fall or some other musical event in this Folk Music Capital of the World, you will love having Wildflower Bed and Breakfast On the Square as your base. Located in a historic building listed on the National Registry of Historic Places, the bed and breakfast is located right on the historic Square. The establishment’s original design as a motor court ensured a quirky, unique design for each suite in the Trade Winds Lodging. All suites have private entrances and bathrooms, cable TV, Wi-Fi and luxury linens. Some of them also have jetted tubs, and others have fridges. The fun common space has a small pool, which is a site for poolside movie events in warmer seasons. If you choose a breakfast with your suite, it will come to you in the morning hot, homemade, and delicious. There is a lot to do in Eureka Springs, so jump on a tram that stops just outside of the lodge’s door and head to the lively downtown of this historic little town. 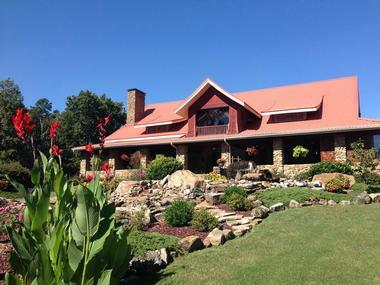 The White River Inn is a boutique style luxury Bed and Breakfast situated on an elevated 31-acre plot overlooking the picturesque White River close to the town of Cotter in the heart of the Ozark Mountains. The White River Inn offers just 5 elegant and secluded suites, each with a private entrance, a cheerful fireplace, HD TV, and lovely leather couches made for two. Some of the bathrooms feature Jacuzzi-style tubs for two while some have stand-alone showers. The rooms are beautifully furnished in the Mission Style, and luxury linen and bedcovers and a Keurig coffee maker complete the pampering. Cotter is in a very central location, providing easy access to exceptional fly-fishing, boating, water sports, and walking trails. Art lovers will feel right at home when they step into the art-filled lobby of this inviting and modern boutique-style hotel in west Little Rock. The all-suite hotel offers a total of 53 beautifully furnished and individually decorated suites, all featuring diverse art from local Little Rock artists (all of which is available to purchase). The suites have a small sitting area separate from the bedroom, and each has a refrigerator and microwave, smart LCD TV, working area, coffee maker, and complimentary Wi-Fi. The hotel has an inviting pool area and a fitness room. Table 28, the on-site restaurant, is one of the best eateries in Little Rock, and it features classic modern American cuisine. Tiffany’s Bed and Breakfast is perfectly situated to offer city dwellers a romantic destination where they can unwind and revive body and soul surrounded by nature. The bed and breakfast is the epitome of peace nestled in a 60-acre wood just 14 miles from the town of Hot Springs in the heart of Hot Springs National Park. 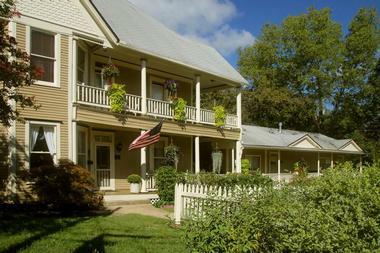 The Inn at Mountain View occupies a listed historic building on Courthouse Square in the heart of the Blue Grass and Folk Music capital of the world, historic Mountain View. Although the inn has been standing since 1886, you can expect comfortable rooms with all the necessary modern conveniences, including private bathrooms and cable TV. The furnishings include antique beds and lovely flowery quilts to set the scene. 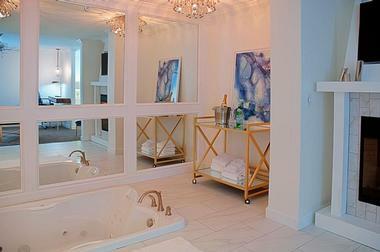 For a romantic getaway you can request the Garden Suite, which has a great Jacuzzi tub-for-two. Hot breakfasts get you off to a good start, and there is plenty to see and do in the area including biking trails, hiking, fishing, and the spectacular Blanchard Springs Caverns. Three Oaks Resort offers comfortable, rustic stone cottages ideally positioned along the shores of Norfork Lake close to Mountain Home. 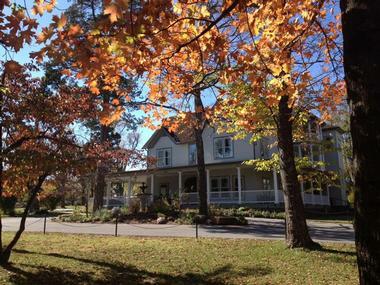 The cottages vary in size from cozy and romantic studio cabins to large 2-bedroom/8 sleeper cottages to suit families. The kitchens are rather basic but fully equipped for preparing simple meals, and each cottage has an outside charcoal grill and picnic table as well as satellite TV, air-conditioning, and bed linens. 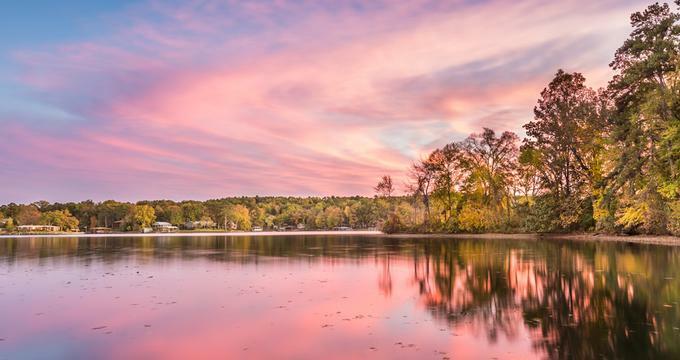 At Three Oaks resort, the emphasis is on outdoor fun, and activities include boating, fishing, golf, and hiking or biking along the beautiful and extensive lake shores. 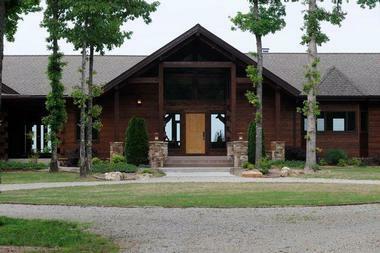 If you are looking for romantic cabins in Arkansas, this is a unique place to stay. Standing proudly on a beautiful tree-lined street in downtown Eureka Springs at the foot of the Ozark Mountains, Heartstone Inn is a magnificent Victorian mansion built in 1903. It is located in the town’s historic district and is surrounded by art galleries, great restaurants and quaint shops. Charming Eureka Springs trolley stops right outside of the Inn’s door, and the sprawling estate is registered on the National Register of Historic Places. The inn has 11 luxuriously appointed rooms, cottages, and suites with beautiful décor, spacious sitting areas, private bathrooms, opulent linens, and amenities such as free Wi-Fi and a flat screen TV. 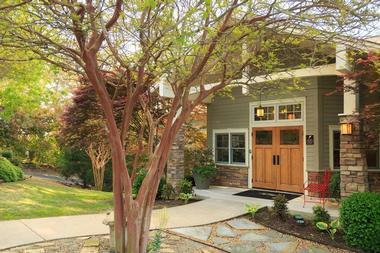 A large wrap-around porch offers a romantic locale where you can admire the lush gardens with the love of your life. An exceptionally good breakfast is served in the inn’s elegant dining room, and you can expect such treats as Crème Brulee French Toast, Hash Brown Bake, Baked Eggs Benedict and hot Peach Imperial Muffins. 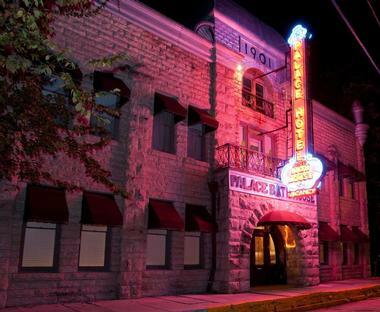 Comfortably ensconced in the historic Downtown District of Eureka Springs, the Palace Hotel and Bath House has been pampering visitors for over 113 years. The hotel is just a short walk from intriguing shops, restaurants, galleries, and bars and the rich and varied architecture of Eureka Springs surrounds you at every turn. The rooms and suites offer a pleasing combination of modern and antique elements to provide an elegant turn-of-the-century atmosphere that is very conducive to romance. The historic Bath House on the lower level of the hotel is the cherry on the top, featuring a full spa menu in a delightfully retro ambiance. Step through the beautiful French walnut doors of Pratt Place Inn and find yourself surrounded by beautiful antiques that reflect the grandeur and elegance of this boutique style hotel situated just minutes from downtown Fayetteville. Each of the 7 rooms features a romantic king-size antique bed and magnificent French armoire as well as all the necessary modern conveniences.